Originating in the 19th century, when scientists – who were often regarded as being controversial – began experimenting with animal matter, cell therapy involves the injection of cellular material into a patient. Following a series of experiments that spanned the following century, scientists began using cell therapy to prevent the body from rejecting organ transplants. In 1939, the world’s first successful human bone marrow transfusion took place in a patient with aplastic anaemia. In the decades since, cell therapy has continued to evolve and progress. Today, autologous cell therapy (ACT) is an innovative treatment that uses a patient’s own cells that have been cultured outside the body and then reintroduced. Only a few players can perform ACT, so they are key in pushing the many potential uses of the therapy. CO.DON, a leading specialist headquartered in Berlin, uses ACT to repair knee cartilage through a minimally invasive technique. Speaking to European CEO, Ralf M Jakobs, the sole member of the organisation’s executive board, shed light on the cutting-edge therapy and discussed what’s next on the agenda for CO.DON. How does CO.DON’s therapy work? CO.DON develops a revolutionary cell-based biological tissue product that has the potential to fully repair cartilage damage by orthopaedic and traumatologic treatments. The company’s product is autologous; it’s generated from the patient’s own tissue and is free from animal, synthetic or allogenic products. Cells are cultured for each patient through a patented process. The procedure of matrix-associated autologous chondrocyte transplantation (M-ACT) can be split into four steps. First, the doctor removes a small piece of cartilage from the affected joint and sends it to CO.DON, together with a blood sample. Second, cartilage spheroids are produced in the laboratory through a cell culture process, without the addition of foreign substances, within a few weeks. Third, a small surgical procedure inserts the cartilage spheroids into the defect, where they adhere independently and without covering to naturally form new cartilage tissue, which, at the end of the therapy, can be fully loaded again and is comparable to healthy cartilage tissue. After the operation, the patient remains in hospital for about two days and undertakes a training programme until the joint can be fully loaded again. Tissue engineering is an interdisciplinary field of biotechnology that aims to regenerate natural tissue and create new tissue using biological cells, biomaterials, biotechnology and clinical medicine. CO.DON’s product, a three-dimensional network of cells and cell-specific matrices, is generated using only the patient’s own cartilage cells and blood serum. Because no extraneous materials are used, the risk of rejection, inflammation and infection is minor. What is CO.DON’s therapy used for? CO.DON’s innovative regenerative cell therapy is used for the minimally invasive repair of cartilage damage in the knee joint following traumatic or degenerative defects. 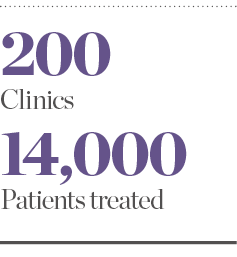 The treatment has been used in more than 200 clinics to treat more than 14,000 patients, mainly in Germany. We received EU marketing authorisation for our product in July 2017. Since that time, we have started to expand into other European markets, first in the UK and the Netherlands, followed by Austria. In theory, the method is applicable to cartilage damage of all joints – our clients have already successfully treated cartilage damage to the hip, shoulder, ankle joint and elbow. That said, we currently have EU-wide approval for the knee joint only. CO.DON’s technological, production and regulatory expertise makes it a first mover in the biological cartilage replacement market and a provider of highly effective, safe treatment options that sit between pain therapy and endoprosthesis. With the aim to become the market leader in arthrosis prophylaxis, our vision is as follows: we empower every patient to be healed with their own cartilage cells, because we are the human cell experts. For our existing product, we are planning to expand the age group we can treat; a paediatric investigation plan is currently in process with the aim of using our product to help children and adolescents. We are also undertaking phase II and III clinical trials to gain EU approval for a hip product. In addition, the company intends to form a joint venture for the development of a knee arthrosis product based on stem cell technology and CO.DON’s expertise. This, as a single step procedure, will be the company’s next-generation product. Do you plan on expanding your services further across Europe? 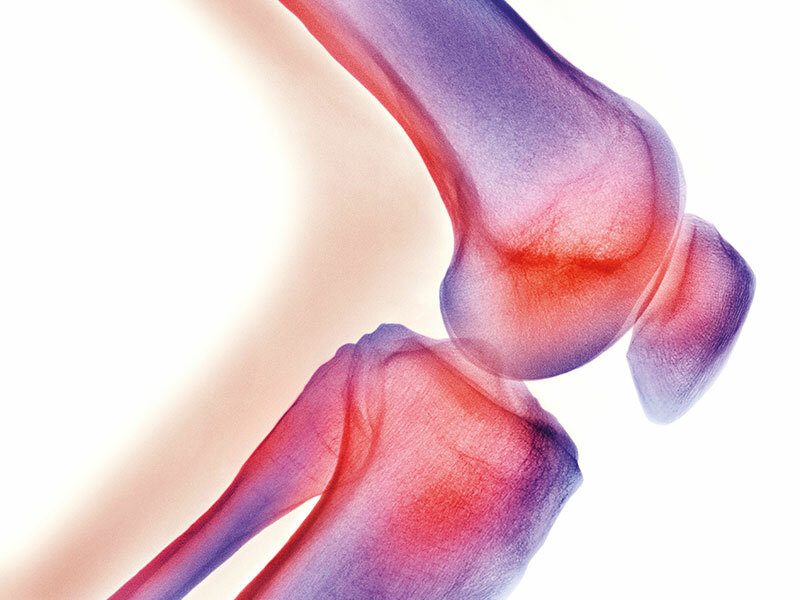 The product is currently the only cell-based medicinal product for the regenerative treatment of knee cartilage damage that is available and authorised EU-wide. That said, there is currently no European competitor in our market segment. This, together with our product pipeline, means CO.DON has the chance to open up a market that is worth millions and vastly increase the company’s value. As part of its first steps to develop this promising market in line with the company’s strategy, CO.DON founded subsidiaries in the UK in 2017 and the Netherlands in 2018. We have also signed a contract for the distribution of our product in Austria. To ensure the supply of the highest-quality cell therapy products to our customers in Germany and the rest of Europe, CO.DON is building a second production site in Leipzig. Once the work is finished, the site will be one of the world’s largest and most modern plants for the industrial-scale production of human cells. As the sole member of CO.DON’s executive board, how do you shoulder the responsibility? This situation was not planned when I joined the company in 2016. My background is in business law rather than pharmaceuticals, but I have learned a lot and I have an internationally experienced management team that supports me with any biopharmaceutical questions I have. For the future, I believe the company’s biggest aim is to show the market that we deliver what we promise, have the right strategy and the right people to handle each hurdle the company faces. My personal strategic goal for the future is to show, together with my team, that CO.DON is an open, forward-looking and trustworthy company. This is my responsibility to our employees, the company’s supervisory board members and our shareholders. I know it will not be easy, but I am sure we can meet this task head on. For me, good leadership means building trust: trust in the management team, trust in the potential of the product, and trust in my own capabilities. Trust means ‘convincing through performance’. In a company culture of ‘encouraging and challenging’, I have to set an example of what I expect from my employees. I have to ensure, through strong personal purpose and authenticity, that we maintain the trust of multiple stakeholders.